When it comes to rolling out a school bus tracking app for staff, parents, and students, school districts must consider a variety of factors. Transportation departments need to know how their routing, GPS, and bus assignment systems will work with the app software, as well as how to fold in daily maintenance tasks and communication with parents. Before choosing a new app service and launching it to the public, there are a few to-do items that should be considered to help make the transition as smooth as possible and save your district staff time and frustration. Assess the resources you will need: School bus tracking apps vary widely in terms of services offered, integration with current systems, and customer service and support. School districts should consider their current and future needs for transportation and how the app will be managed. Which personnel will be involved? What fits the district best in terms of customization and bus assignment updates? For instance, smaller districts with fewer routes will need a different solution than larger districts with daily updates to bus numbers and route assignments. 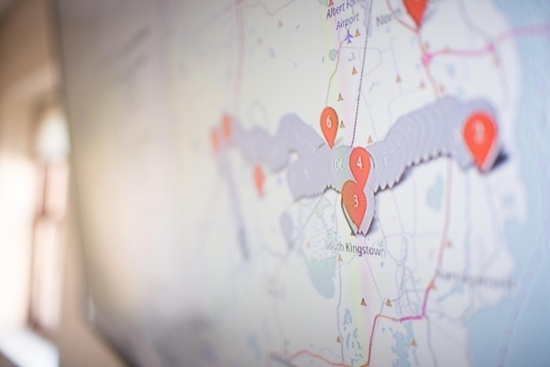 Take stock of what you already have: Unless school district administrators are planning a major overhaul of transportation-related software or hardware, a school bus tracking app must fit with current GPS, routing software, and bus assignment systems. What do you currently have? What will you need? A school bus app may be able to automatically update information in the system regarding school bus locations and student pick-ups/drop-offs. Double check that your systems are ready to provide the functionality you need and that your new school bus tracking app can match them. Create a wish list: Before district administrations start shopping, they should create a clear list of “Wants” and “Needs” for a school bus tracking app. What are the biggest pain points for school staff and parents? What information does the district need to track and analyze? Make a list and prioritize your top requirements so you know the key questions to ask when investigating different options. Consider ongoing maintenance tasks: Although some school bus app companies promote a “set it and forget it” mindset when it comes to rolling out a new system, no program is hands-off and flawless. Determine how often you’d like the app to update, how many bus maintenance changes your system tends to have, and how many variables in routes (such as afterschool activities or field trips) you might like to include in the app. Even 5 minutes of maintenance in the mornings and afternoons can save hours of parent phone calls if, for example, a bus breaks down and another one covers the route for the day. Determine customer service needs: One of the final — and arguably, most important — steps in choosing a school bus app and moving forward with a decision is considering your customer service needs, including setup, transition, and ongoing service periods. How much assistance will you need to integrate and implement your new school bus tracking app, including building up buy-in from parents, teachers, and other community members? Some school bus tracking companies offer next-level service to support your district’s transition from start to finish, so do your due diligence and don't forget this important aspect of bringing on a new system.